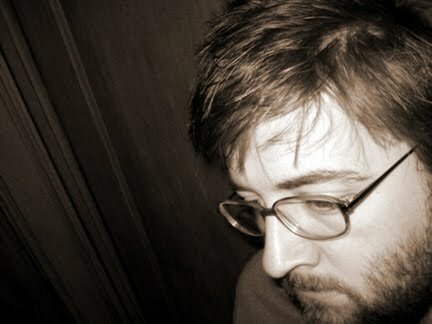 David Morneau is a composer living in New York City. He's composed music for dance, chamber ensemble, nintendo gameboy and piano, winning the 2004 Ruth Friscoe Prize in Composition for his piano piece, The Rhythm Variations. 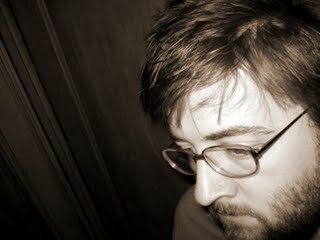 Morneau holds degrees in music composition from Cornerstone University and Western Michigan University and has been featured in music festivals such as the SPARK Festival of Electronic Music and Arts, in Minnesota, Electronic Music Midwest, in Kansas, The UK's Expo Brighton and SoundImageSound, in California. His 60X365 project was a year-long exercise in daily composition. The result was three hundred and sixty-five works, each clocking in at exactly sixty seconds. For the next phase of the project, Morneau has extended an invitation to composers from all backgrounds and experience levels, to try their hand at reinterpreting these musical miniatures, in whatever style might strike the individual composers fancy. Find out more about 60X365: Re-Imaginings HERE. *Tape manipulations, digital deconstructions or turntable creations: Since I do all of my composing using a computer, “digital deconstructions” is the way to go. Sometimes the techniques I use will resemble traditional tape manipulation techniques (reversing, cutting & splicing, looping, etc). Other times the techniques will be purely digital and based on algorithms and other computer-specific tricks. It’s important to note too that I also work in forms and styles outside of sample-based music. I compose a lot of music “from scratch” as it were. Many times I am composing for live instruments so there is nothing digital about the music at all. My background is fairly traditional, writing music for soloists and chamber ensembles. It is only relatively recently that I began working with digital music and exploring the possible sounds and ideas found in this realm. No matter what I’m composing though, quotation and allusion are important parts of my language as an artist. I don’t know why. Whenever I can quote, borrow, or otherwise reference a melody or theme or motif from existing music I will. When I began making the move into computer music forms I discovered that sampling was a quick way to get at whatever it is I like about quoting and alluding. Generally (though not always) I like to take one or two small kernels and explore them thoroughly rather than trying to cram as many different ideas into a single piece as I can. On the continuum between John Oswald and Girl Talk, I’m definitely closer to Oswald’s end of things. *Another genre descriptor: I find myself using the word appropriation more than others. I think it’s because I like the conscious act of taking, the deliberateness, that it implies. *Location: Originally from upstate New York. I’ve lived a bunch of different places, including the Midwest for 15 years. Now I’m living in New York City (Queens specifically). *What is your creative/artistic background: I began composing in high school for a project with the Drama Club. After the first public performance of my music I was hooked and wanted to keep composing. I went to college and then graduate school to study composition. For a long time I had little or no interest in electronic and computer music. I was writing a lot of music for piano and various chamber ensembles. I played in a brass quintet for a while. We would travel to different churches to play music in their services. I arranged a fair bit of our music and loved to work in references to other pieces—particularly to things that probably weren’t all that appropriate for a church service. A confluence of events in graduate school at The Ohio State University piqued my interest in computer music. One of these was a series of collaborations with choreographers in the Dance Department who wanted original music for the MFA projects. This really pushed me into exploring digital music techniques of all kinds. One project in particular (Lifedance) was all about influential events and ideas, so I used it as a chance to work with appropriation (sampling music that was influential to me). I was just discovering mash-up and John Oswald and Negativland and had been looking to try my hand at these ideas. I ended up composing a 30 minute symphony of sampled music. After that, appropriation became another tool in my bag so to speak. The other major project that allowed me to work out some ideas about appropriation music was a podcast I did called 60x365. Every day for a year I composed a new one-minute piece and posted it online. One of my goals was to try out many different ideas and techniques as I went. Needless to say there are a lot of sample based pieces in that set. Some are blatant pop-music assemblages. Others are subtle beat samples. And still others are probably closer to musique concrete than anything else. *History: I have been composing for almost 20 years. *Born: I was born in 1975 in Oswego, New York. *Motivations: Honestly, I don’t know. It’s fun. It helps me relate to the world around me. It helps me understand things about myself. I know it’s a cliché, but I compose because I don’t know how to do anything else. *Philosophy: I’m fond of saying that the two core values in my work are eclecticism and collaboration. Neither of these needs much explanation. I like many different kinds of music and want to work with them all. I collaborate because working with others gives me ideas and pushes me in ways I don’t get from working alone. In the context of a conversation about sample-based music I should probably talk specifically about my philosophy for appropriation. Like many who create this kind of music I believe that the reworking of other’s ideas is essential to the growth and advancement of culture. Since a recorded sound can be viewed as the digital manifestation of someone’s idea, sampling that digital information can be the first step to transforming it into something new. The problem, of course, is that we live in a world of lawyers and money so using somebody else’s work in this manner is often a no go (if you want to be 100% legal). Like virtually everyone else featured on this program I’ve decided to appropriate anyway. I know that it’s illegal, but I don’t care. Free exchange of culture is just too important. Composing becomes an act of protest, which I’m okay with. *How would you like to be remembered: It would be enough just to be remembered. Although if I can ask for more, I’d like to be remembered as someone who created interesting and exciting music and who was a cool guy to hang out with.